Visit the Bremers’ Pine Ridge Farm and you might be expecting to meet a father and son, or maybe two brothers. Nope. What you will find is a state-of- the-art dairy operation and the story of how a chance meeting led to a long-time and very successful partnership. Jeff Bremer was attending Waseca Technical College for dairy production. He was searching for an internship and a neighbor suggested he contact Keith Bremer (same last name but no relation). Keith had been farming Pine Ridge Farm for years; first with his brother and then with his sisters. In fact, the 2nd generation dairy farm will hit the century old mark in 2015, making it one of the oldest farms in Wabasha County. Needless to say, the internship went well and after Jeff graduated with a degree in Dairy Production Keith asked if he would stay on. That was in 1989, and in the 25 years since, there have been some real changes (and innovations) on the farm. Jeff is now married with sons of his own, and the boys are also now a part of the farming team. 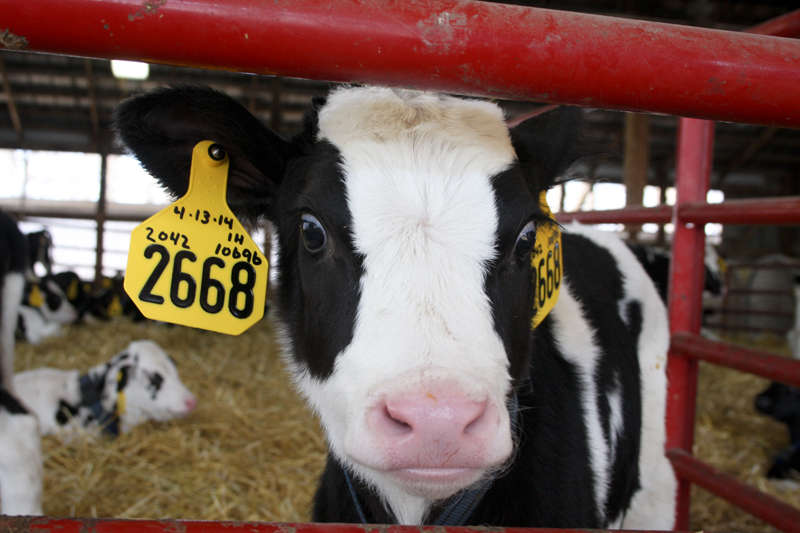 The dairy herd has grown to 192 milking cows and together they have 2400 planted in crops (corn, soybeans and alfalfa). One of the most significant farm improvements is the addition of their robotic milking system. It was an expensive addition, but one that has helped Keith and Jeff expand production, increase milk quality and better manage their time and the other work that goes along with the farm. With the automated system, the cows actually milk themselves. They’ve been trained to know when it’s time for milking and line up to file through. The state-of-the-art milking technology tracks data on each cow, such as the last time she gave milk, how much milk she gives on average, and more. The robotic mechanism washes the cow’s udder, milks the cow, and automatically knows when she’s done. Once the cow has been milked they receive a treat (no kiddin’) for their great work. The treat, which looks similar to a cookie or large dog-treat, is more of a nutritional boost for them, but the cows love them. This often leads to cows wanting to be milked sooner than they are ready to be. Based on the statistics stored in the database for each individual cow, the machine knows and won’t allow the cow to be milked. The cow is sent on its way, probably a little disappointment, but she can try again later. Unlike the usual “farm family” relationship, Keith and Jeff had some issues to work through during their years together. Where a father and son might fall into a routine and roles would be quite clear, the duo had to actually determine who was going to fill each role (and there are a lot of them). There were differences in opinion along the way. Jeff’s education led to an interest in modern farming techniques and technology. Keith was used to doing things the old-fashioned way. Compromise was the key to keeping their relationship strong. 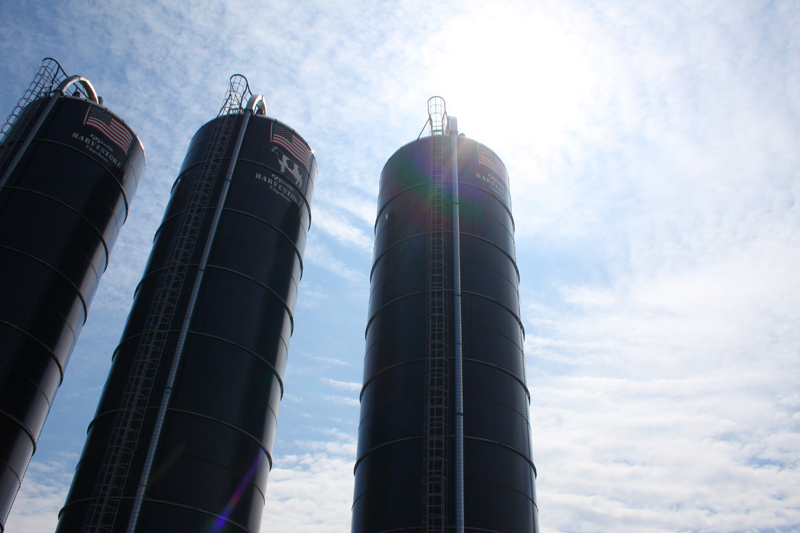 When Keith insisted on building more silos (a way of storing food and feeding on the dairy farm that can be time intensive in comparison to other feeding methods), Jeff relented. When Jeff wanted to automate the milking, he offered a pretty compelling case to Keith. He finally agreed, despite the high price tag, that the technology was the best direction to go. Since first joining forces on the farm, their partnership may have been less traditional, but over time, despite not being blood relatives, they’ve become a farm family in every sense. Keith is often a part of the younger Bremer’s family events and gatherings. Keith is a mentor and fills a grandfather-like role to Jeff’s boys. They made things official in 2001 when they formed an LLC and became partners on paper. That helped Jeff feel more secure in the years he’s invested on the farm. And knowing there’s a plan in place that will offer a legacy he can leave his sons is important to him, too. As for the future of Pine Ridge Farm, Keith is looking to scale back his duties. He’s still involved in the farm management decisions and helps out with the fieldwork, keeping the animals fed and maintenance of the farm. Jeff’s view of the future is quite different. He would like to continue to expand, perhaps add more technology to increase their production, build a new and more modern barn, and maybe add more acreage. Just as they’ve done over the past 25 years; they plan to work it out.